Not only is Tokyo my favourite city in the world, but it’s my favourite city for cafe hopping. Anyone who knows me knows that I’m a huge coffee nerd, and while many people might associate amazing coffee with cities like Melbourne, San Francisco, and New York, I believe Tokyo is the best in the world—not just in coffee quality, but in attention to detail, customer service, and cafe atmosphere. This blog post is the first in a series where I’ll talk about my favourite cafes across this wonderful city. Here are my first top five! During my latest trip to Tokyo, I attended intensive Japanese class at Coto Language Academy for three weeks and often found myself cafe hopping to find a nice place to study. I ended up spending most of my mornings at LATTEST in Omotesando, a sister cafe to the popular Streamer Coffee Company. I adore LATTEST for numerous reasons—not only are the milk-based drinks some of the best I’ve had in Japan, but it’s run entirely by women. I always felt like women in the coffee industry are vastly outnumbered by men, but in Japan it’s worth noting that the gender balance seems much more equal compared to my experiences in other countries. As the name suggests, LATTEST’s speciality are large gorgeous lattes, matcha lattes, and they often have seasonal drinks including charcoal lattes as well, if you’re up for trying something different. Snacks are usually available, including in-house baked chocolate chip cookies! I can’t mention LATTEST without mentioning that a certain Japanese reality TV star works here, but honestly, the coffee is top notch, the atmosphere is relaxed and it’s a lovely place to spend time without feeling like you need to rush out the door. Passage Coffee opened just a couple of days after I returned from my trip to Japan in 2017 which was a huge disappointment. I finally had the chance to visit during this year’s trip, and of course, it was well worth the wait! Although it’s easy to find plenty of speciality cafes in areas like Shibuya and Omotesando, the less-touristy, more local areas where everyday folks live and work can often be void of independent third-wave shops. Fortunately, Passage Coffee was opened on Mita Dori, five minutes from Mita station and a fifteen minute walk from Tokyo Tower, meaning it’s a true gem in an area otherwise void of speciality coffee. 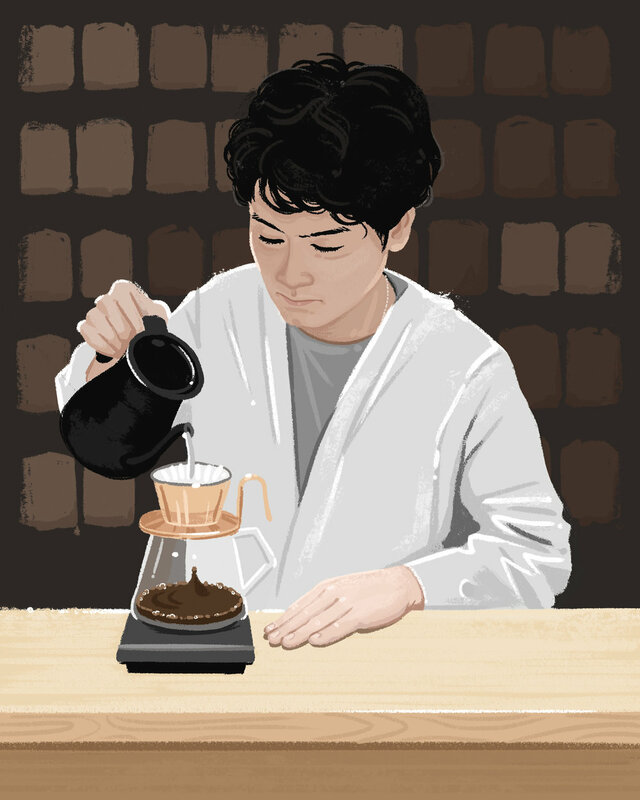 To make things even better, the cafe is owned by 2014 World Aeropress Champion, Shuichi Sasaki, who previously worked for Paul Bassett. One of the things I love most about Passage is the lovely, simple, unpretentious design. During my time spent there, it was obvious they’ve already built up a loyal following of customers with plenty of regulars popping in even just to say hi—I’m sure the locals were overjoyed when this cafe opened in this busy area of the city. Of course, I had an Aeropress when I visited, and it was perfect. Plenty of people have heard of Omotesando Koffee and are still mourning its loss, but some folks still don’t know that a new concept shop was opened on the same location by the same owners just a couple of years later. I was lucky enough to visit Koffee Mameya during its first week of business in January 2017, and have been back numerous times since. 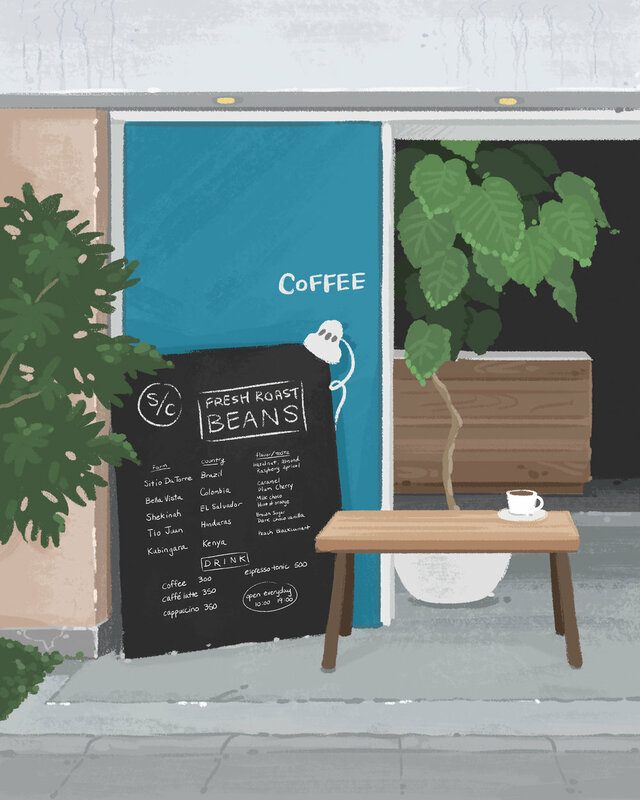 Mameya in Japanese can be translated as bean shop, which is essentially what is it—there is no seating, no food, no milky drinks—it’s simply coffee in its purest form. The stunning space feels more like a shrine dedicated to the art of making coffee rather than a cafe. Although this might sound intimidating, nothing could be further from the truth. The level of service is unlike anything I’ve ever experienced from a coffee shop. 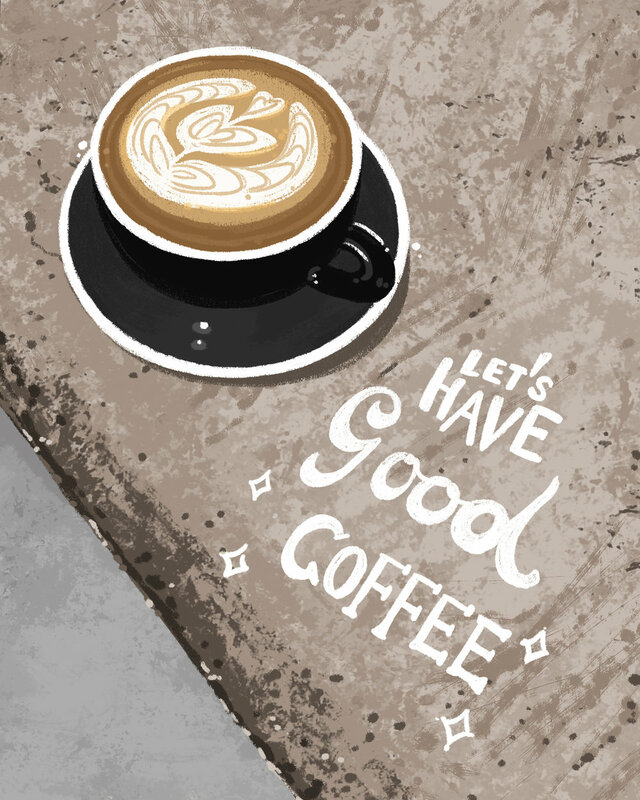 During your time chatting with Mameya’s friendly baristas, they will discuss your likes and dislikes (in perfect English) and help you find a coffee you’ll truly love. Even better, they will help teach you how to make the perfect cup at home based on your preferred brew method. Needless to say, Koffee Mameya is one of my favourite coffee spots in the world and I recommend it to everyone I know who’s visiting Tokyo. There’s so much more I can say about it, but it must be experienced first-hand. Another great example of a lovely independent cafe in an area that isn’t already saturated with shops is 4/4 SEASONS COFFEE (All Seasons Coffee), just north of Shinjuku Gyoen park. When in Shinjuku I always find myself sticking to Verve Coffee Roasters in Shinjuku Station or even Sarutahiko Coffee in the BEAMS Japan store, but this one is definitely worth the extra walk east. Although at a glance the interior might appear stark, the beautiful wooden benches and tables invite you to sit and relax, and if you’re lucky, catch the staff roasting fresh beans right by the entrance. 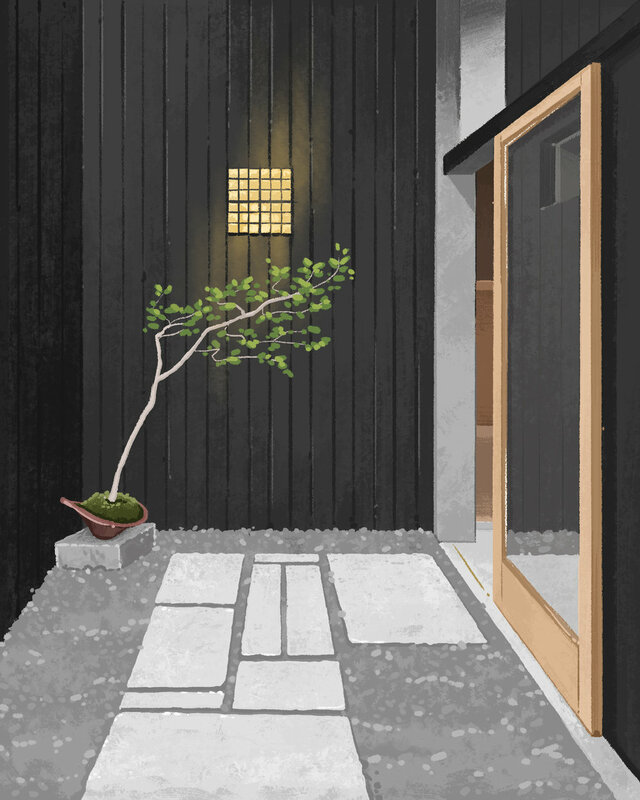 4/4 SEASONS is owned by Jun and Emi Saito—who originally started out in quite different jobs. I’m certainly happy for their decision to pursue coffee, because this lovely cafe has quickly shot to the top of my list—especially when it comes to the most important aspect—flavour. During my second visit I had a lovely Kenyan drip that was easily in my top three drip coffees I’ve ever had—not just in Tokyo—but in other cities, too. Of course, when you come here, don’t miss out on the lovely homemade snacks and treats—a perfect match for any cup. Hours: 8:00-19:00, Sat/Sun & Holiday: 10:00-17:00. Closed Tuesdays. Switch was long on my list of cafes to visit, but I never had a chance to make it there until late March during hanami. Fortunately, Switch is located in Meguro—not exactly known for cool cafes, but definitely known for its incredible cherry blossoms along the Meguro River. Switch is about a twelve minute walk from Meguro station, hidden on a little residential backstreet and almost impossible to find were it not for its lovely blue door. Inside the small space is a counter for drinking a quick cup, and a small bench outside if you’d like to relax a little longer. 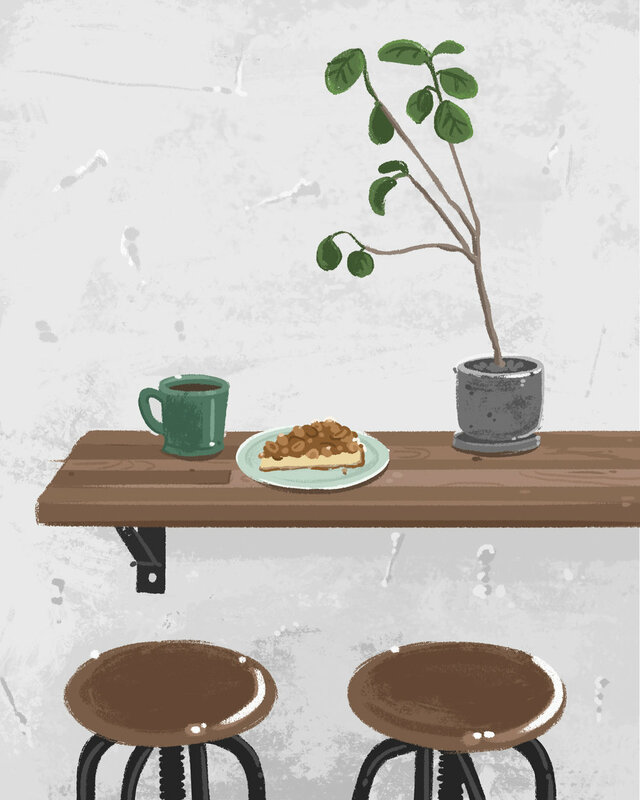 Switch is a purely a place for good coffee—best leave your laptops behind and grab a snack elsewhere. I chatted with owner Masahiro Onishi for a while (who speaks perfect English) after spotting a broken Intellegentsia cup resting in a plant pot near the door. He made a lovely smooth cappuccino that ranked high on my list for those I’ve had in Tokyo to date. During my visit I noted six different beans on the menu—one each from Brazil, Colombia, El Salvador, Honduras, and Kenya. In addition to the usual cafe lattes and cappuccinos, you can also get an espresso tonic for something more refreshing. Switch Coffee is an absolute must-visit on any trip to Tokyo and worth the trek in any season—not just during hanami. Stay tuned for part two in my Tokyo coffee series, where I'll talk about the infamous Bear Pond Espresso, the home cafe for Japan's 2017 Barista Champion, and quite possibly the cutest and most instagrammable coffee stand in Tokyo!